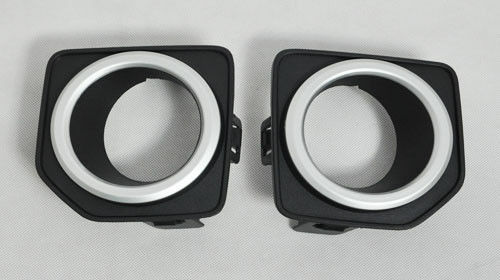 ■ This listing is for 2 pieces of black front fog lamp cover trims for Land Rover Freelander 2 2006 - 2010. ■ Made with high quality of ABS Plastic. ■ Protect car front fog lamp from scratches or small bump damages. 1. Professional sales staff in time service for your question. 2. Punctual delivery as per your requirement. 3. Meet the products demands of yours. 4. Samples order is accept. 1. We put more care about quality control and quality assurance based on international standards. 2. Standard Export package, and assurance express delivery. 3. All the kind of products are High quality. 4. We can accept OEM & ODM. We are responsible for our products, you can totally rest assured of us.